Rhett lives and works in Alameda, New Mexico. In his forty years working as a professional artist, he has found expression in a variety of mediums: hand-woven tapestries, sculpture, drawings, monotypes, paintings in oil and acrylic, writing, acting in films, and developing the motion picture production company, Heap Big Films. Always seeking to expand his visual vocabulary, Rhett consistently experiments with various materials in order to bring more power, life, and intensity to his art. Rhett's broad range of subject matter: the human form, animals, landscapes, icons, archetypes, myth and legend, are depicted realistically to pure abstract, whimsical to mystical. Rhett refers to his work as a visual journal, recording his experiences as a tourist of life. His work is a testament to the deeply powerful symbols found in the well of his Indigenous heritage. His work conveys a universal message, which crosses all cultural boundaries. Although varying greatly in medium and subject matter, all of Rhett's work contains a common thread, intensity of color interwoven with multifaceted intent. His paintings and writing are deeply personal, complex and moving, sometimes disturbingly so. Viewing Rhett's works provides an interactive experience provoking thought, evoking emotion, and leaving a lasting imprint on the psyche. Rhett's work, which has appreciated consistently in value over three decades, attracts a broad range of collectors, veteran as well as neophyte, from entertainment and political personalities, to church parishes and corporations such as CNN. Rhett's painting "Grass Dance" is featured on cover, and selected works and editorial within the contents. 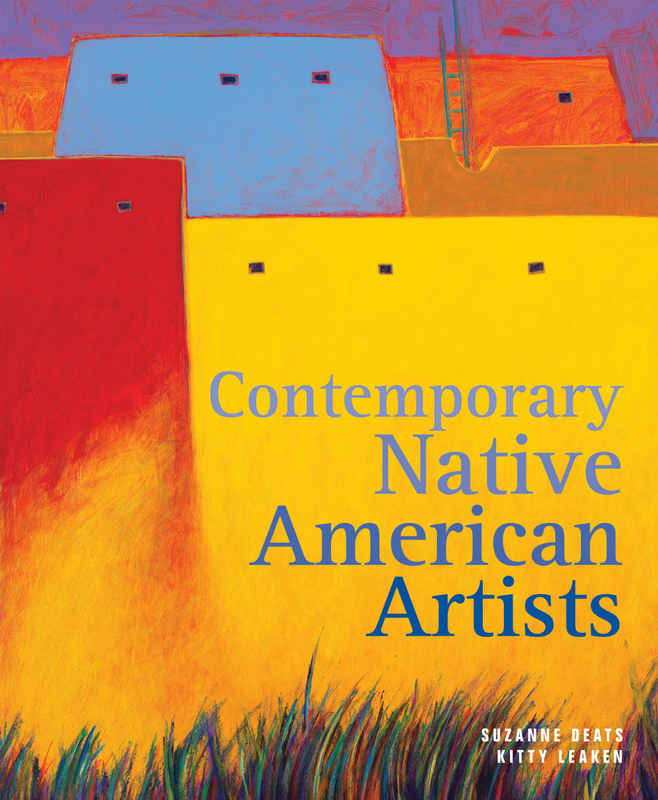 Contemporary Native American artists have a strong presence in the North American and international art markets including SWAIA's historic and well-attended Indian Market in Santa Fe. This talented group’s work can be found in many annual events, an ever-changing array of fine art galleries, and a number of museums throughout North America. These artists, most based in New Mexico, give visible form to the past, present, and future of American Indian life. In Contemporary Native American Artists, key luminaries of the Native American art world are brought together through stunning photography and intimate portrayals of their lives and art. We are happy to bring you a preview of this important book. The inception for the book, Contemporary Native American Artists, was in 2008. Authors, Suzanne Deats and Kitty Leaken, have lovingly created a visual feast featuring some of the finest Native American Artists in the Southwest. Rhett's painting Grass Dance is featured on the cover, and several selected works of Rhett's grace the contents of its 184 pages. Other artists in the book include: Jody Naranjo, Kevin Red Star, Ed Archie NoiseCat, Malcolm Furlow, Joe Cajero, Fritz Casuse, Richard Aitson, Adrian Wall, Upton Ethelbah Jr., Jhane Myers, Penny Singer, Dyani Reynolds White Hawk, Melanie Kirk-Lente and Michael Lente.